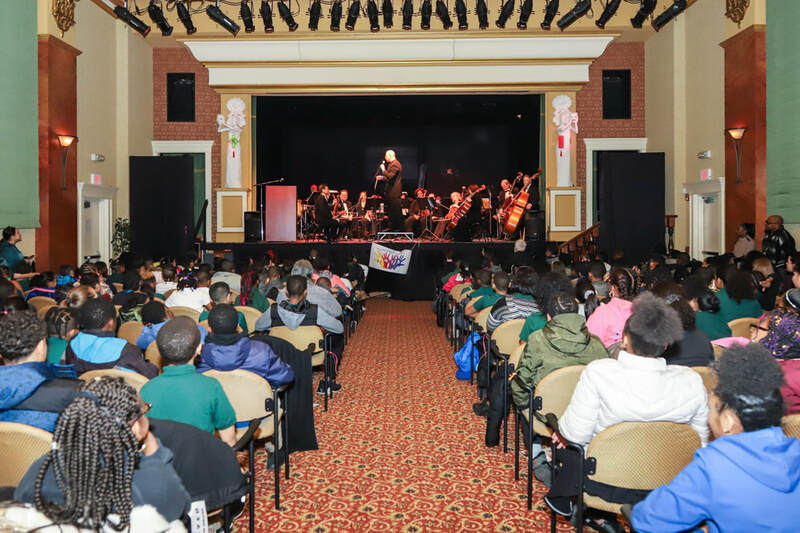 Atlantic City, N.J. – More than 250 area children gained their first exposure to classical music on Wednesday, March 13, 2019 in Atlantic City, as part of the Schultz-Hill Foundation’s Youth Arts Education Outreach Program. The event took place at Stockton University’s Dante Hall Theater. Students from Atlantic City’s Our Lady Star Of The Sea School and the Principle Academy Charter School were in attendance as the Schultz-Hill Foundation treated them to a narrated performance of Sergei Prokofief’s ‘Peter And the Wolf.’ The musicians were all members of the Bay Atlantic Symphony, conducted by the orchestra’s Music Director, Jed Gaylin. The concert is based on an old Russian folktale about a young boy, his grandfather and the boy’s companions who include a bird, a duck and cat, among others. Each character in the musical is represented by orchestra instruments which were introduced to the young audience at the start of the production. At the end of the concert, the students were given the opportunity to ask questions from Maestro Gaylin. 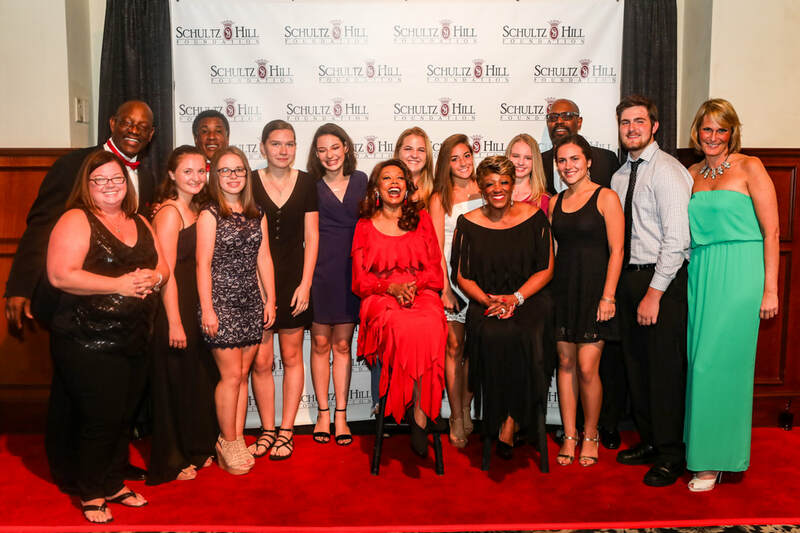 The event was part of the Schultz-Hill Foundation’s dedication to promote and support arts, history and education in South Jersey via educational scholarships, direct grants and funding for the Arts, historical and musical programs. For more information, visit http://www.schultz-hill.org. 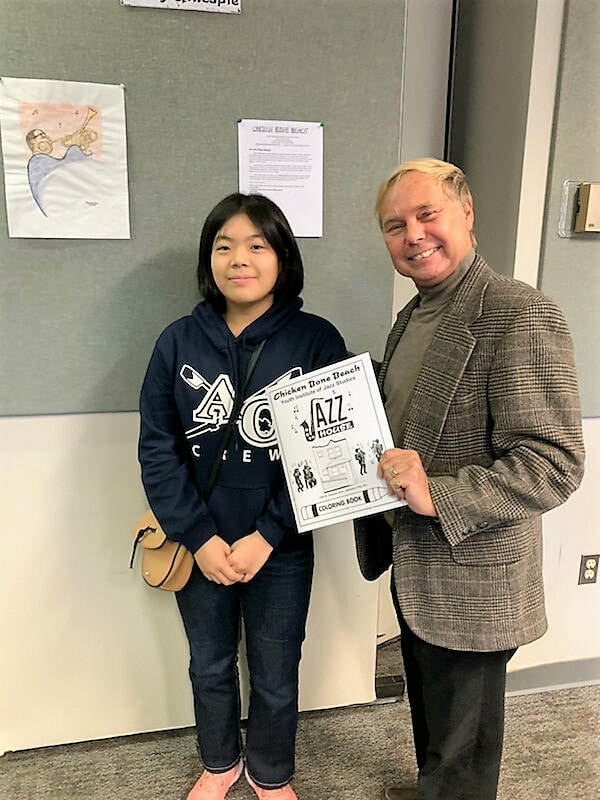 Atlantic City public school students are the featured artists and authors of a new coloring book published by the Chicken Bone Beach Youth Institute of Jazz Studies. The book features jazz “greats” from Atlantic City and New Jersey. The students researched the musicians and wrote short bios to accompany the artwork. 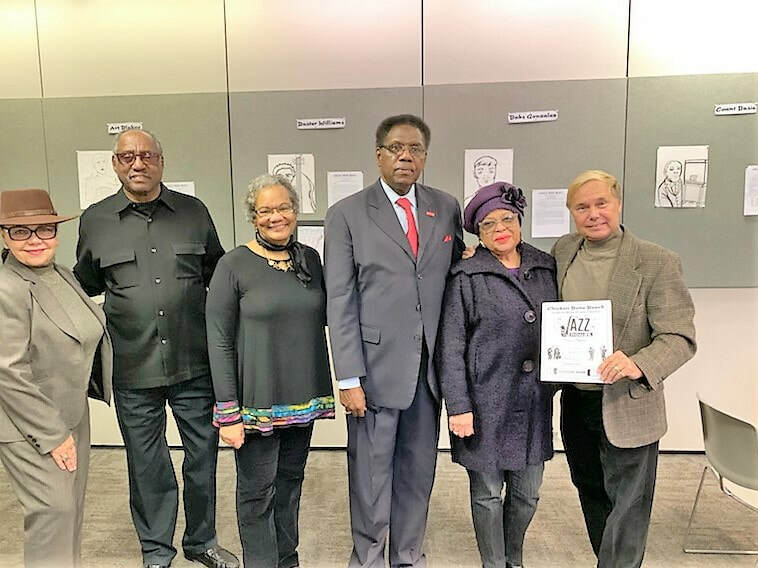 The coloring book was debuted at an event at the Atlantic City Free Public Library on March 2 featuring Councilman Kaleem Shabazz and Henrietta Shelton, founder of the Chicken Bone Beach Historical Foundation. Sponsors of the youth program include the Schultz-Hill Foundation, the Children’s Cultural Arts Foundation, Inc., the Atlantic City Free Public Library, the Chicken Bone Beach Jazz Camp and the Chicken Bone Beach Youth Institute of Jazz Studies. For additional information, please contact the Schultz-Hill Foundation or visit www.schultz-hill.org. Youth artist Serena Su with Schultz-Hill Co-Founder Gary Hill. Serena created the page on jazz great Dizzy Gillespie. The Schultz-Hill Foundation is presenting a free Concert to Atlantic County School Students. 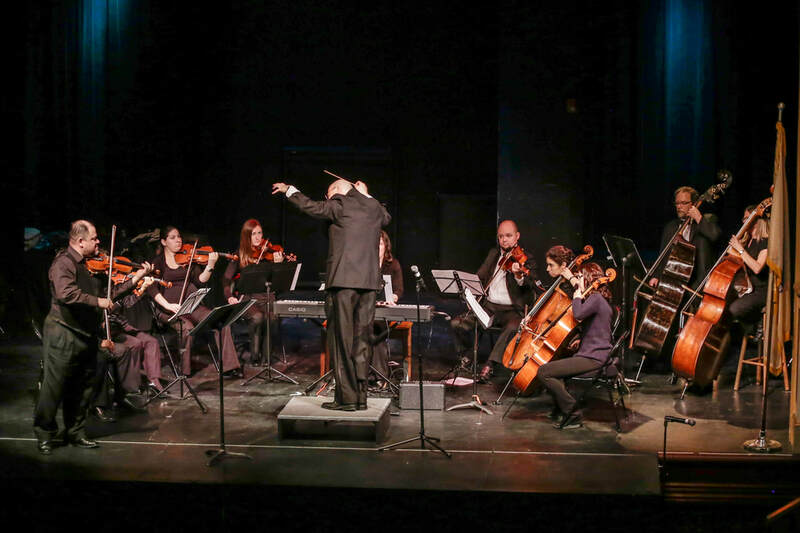 "Peter and the Wolf," an Education symphonic composition, will be performed by the Bay Atlantic Symphony under the direction of Director Jed Gaylin on March 13th, (10:30 am) at Dante Theater of the ARTS in Atlantic City. Students from the Principal Academy Charter School and students from Lady Star of the Sea Elementary School in Atlantic City will attend the Youth Music Education Program. "Peter and the Wolf" is a composition written by Sergei Prokofiev in 1936 in the Soviet Union. It is a children's story (with both music and text by Prokofiev), spoken by a narrator. It introduces audiences (especially students) to the sounds and sections of the symphony. It tells the Russian story of a young boy who lives in the woods and skillfully traps a wolf who has been terrorizing him and his animal friends. The instruments in the Orchestra represent each of the characters of the story, for ex., The French horn is the Wolf; Grandfather is the Bassoon, etc. It is a wonderful and enjoyable Music Education Program for the Students in Our Community! It is funded by the Schultz-Hill Foundation, a Private ARTS/Education Foundation located in Atlantic City. The Hon. Jesse Tweedle (Mayor of Pleasantville) will deliver the welcoming remarks. 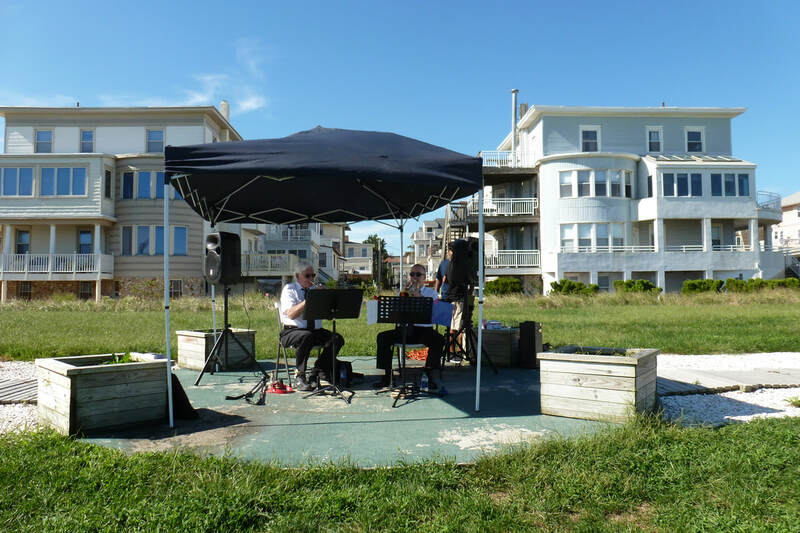 Local residents and visitors enjoyed a free concert courtesy of Atlantic City’s Schultz-Hill Foundation, on Sept. 16, 2018 at Bartram Avenue and the Boardwalk in Atlantic City, N.J. The 6th Ward Community concert is part of the Schultz-Hill Foundation’s community arts outreach program. Trumpeters Brian Cook and Malcolm McDuffee performed live before an appreciative audience. Music ranged from classical to jazz. Following the performance, there was a Q&A session. The nonprofit 501(c)3 Schultz-Hill Foundation supports the arts, history and education throughout South Jersey. Programs include the Dina Scholarships, Senior Music Series, Summer music program with the Atlantic City Day Nursery, and an Arts Outreach collaborative with the Bay Atlantic Symphony and Atlantic City Public Schools. For additional information, please contact the Schultz-Hill Foundation at (609) 347-1616 or visit www.schultz-hill.org. Members of the Teddy Royal Band join residents at Jazz in the Garden, a free concert for seniors at Seashore Gardens Living Center. Pictured (L to R) are (back row) Jim Kaufmann, Madame Pat Tandy, Teddy Royal, Gary Hill and Sharon D’Angio, and (front row) residents Kay, Clementine, Theresa, Peg and Elizabeth. Nearly 100 residents and guests enjoyed Jazz in the Garden, a free concert courtesy of Atlantic City’s Schultz-Hill Foundation, on Sept. 6, 2018 at Seashore Gardens Living Center (SGLC) in Galloway. The concert is part of the Schultz-Hill Foundation’s collaborative arts outreach program, the Music and Memories Series. Due to extremely high temperatures, Jazz in the Garden was moved from an outdoor venue to SGLC’s indoor Boardwalk area. The concert featured music by the Teddy Royal Trio with Madame Pat Tandy as featured vocalist. Teddy Royal had been the lead guitarist for the Fats Domino Band, touring all over the world for 30 years. Ms. Tandy has been singing professionally, both as a jazz artist and in professional theater since 1970. Also playing were Dan Kostelnik on organ and Jim Kaufmann on drums. The one-hour set featured music ranging from the big band era to the 70’s including an original composition by Royal and several very entertaining audience-participation numbers sung by Ms. Tandy. The concert is the third in the 2018 Music & Memories Series by the Schultz-Hill Foundation, designed to bring the arts to seniors in the community. Sponsors of the concert include OceanFirst, The Hordes Family, The Forza Insurance Group and The Kligerman Foundation. The 5th Dimension Concert Raises $130,000 for the Arts! The 5th Dimension featuring Florence LaRue entertained a crowd of over 1,100 at the Schultz-Hill Foundation’s annual fundraiser at Resorts Casino Hotel in Atlantic City on August 24th. 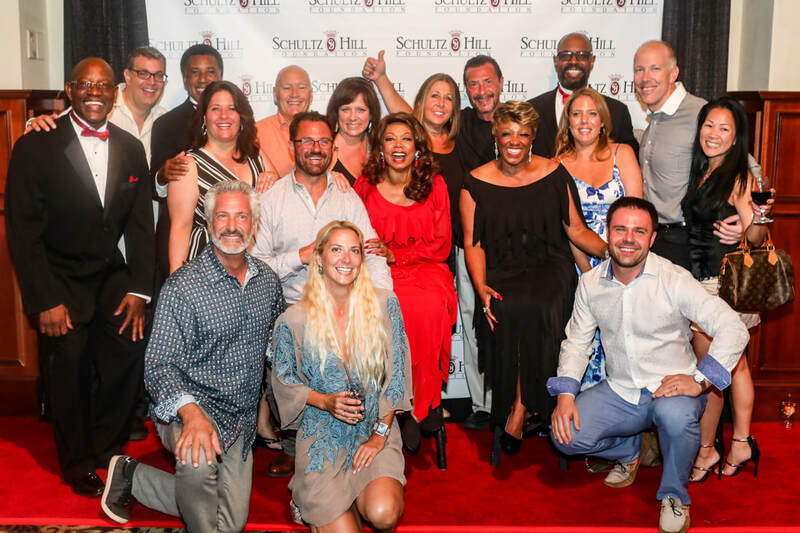 The event raised $130,000 for the Schultz-Hill Foundation, whose mission is to provide music and arts education programs for students and seniors in greater Atlantic City. The 5th Dimension is in the Grammy Hall of Fame, Vocal Group Hall of Fame, and has a star on the Hollywood Walk of Fame. The group has endeared millions of fans to its champagne soul sound. This benefit concert featured some of the 5th Dimension’s greatest hits from Age of Aquarius/Let the Sun Shine In to Up, Up & Away, One Less Bell to Answer, Stoned Soul Picnic, and more. The Schultz-Hill Foundation organizes one benefit performance annually to support their year-long arts outreach programs. Resorts Casino Hotel was a presenting sponsor for the event. Honorary Chairs of the event’s “Celebrity Committee” were Resorts President Mark Giannantonio and Mrs. Susan Giannantonio. 7-Time Grammy Winners The 5th Dimension Featuring Florence LaRue! The nonprofit 501(c)3 Schultz-Hill Foundation supports the arts, history and education throughout South Jersey. Programs include the Dina Scholarships, Senior Music Series, Summer music program with the Atlantic City Day Nursery and the Arts Outreach collaborative with the Bay Atlantic Symphony and the Atlantic City Public Schools. For additional information, please contact the Schultz-Hill Foundation or visit www.schultz-hill.org. 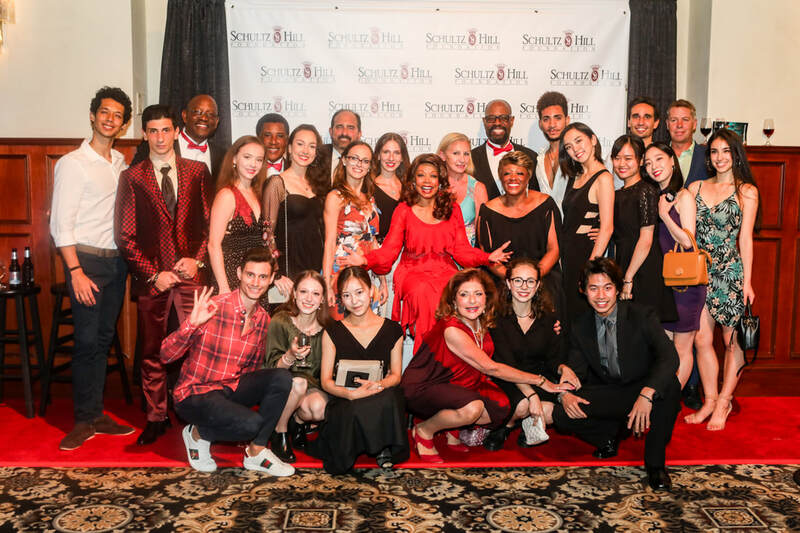 The Atlantic City Ballet Company with Artistic Director Phyllis Papa, Board Members, Peter Caporilli and Sandra Kahn, and The 5th Dimension Featuring Florence LaRue! Up, Up & Away for the Arts! The Atlantic City Ballet Company with Artistic Director Phyllis Papa, Board Members Peter Caporilli and Sandra Kahn, and The 5th Dimension! UP, UP and Away for the ARTS! ATLANTIC CITY - The 5th Dimension, featuring Florence LaRue, entertained a crowd of more than 1,100 at the Schultz-Hill Foundation's annual fundraiser held at Resorts Casino Hotel Aug. 24. The event raised $130,000 for the Schultz-Hill Foundation to provide music and arts education programs for students and seniors in greater Atlantic City. 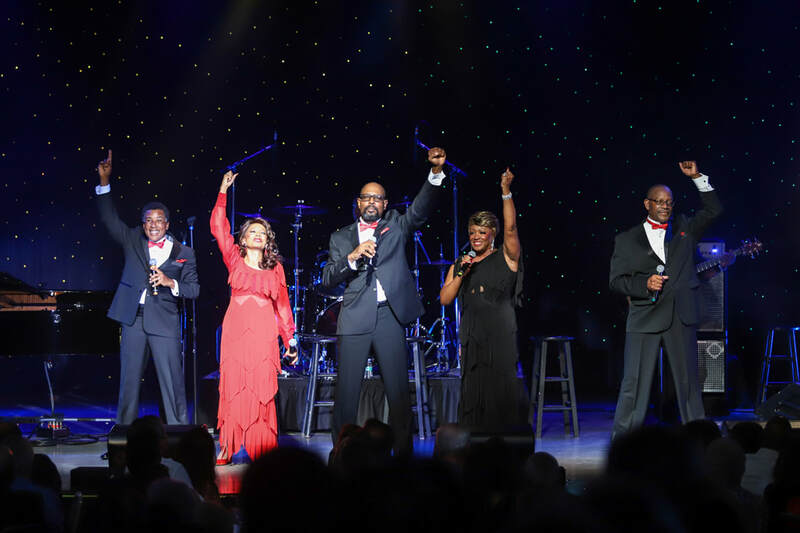 The benefit concert, the Schultz-Hill's annual fundraiser, featured some of the 5th Dimension's greatest hits from "Age of Aquarius/Let the Sun Shine In" to "Up, Up & Away," "One Less Bell to Answer," "Stoned Soul Picnic," and more. Resorts Casino Hotel was a presenting sponsor for the event. Honorary chairs of the event's "Celebrity Committee" were Resorts President Mark Giannantonio and his wife Susan. The Schultz-Hill Foundation supports the arts, history and education through the Dina Scholarships, senior music series, summer music program with the Atlantic City Day Nursery and the Arts Outreach Collaborative with the Bay Atlantic Symphony and the Atlantic City Public Schools. For more, see www.schultz-hill.org. 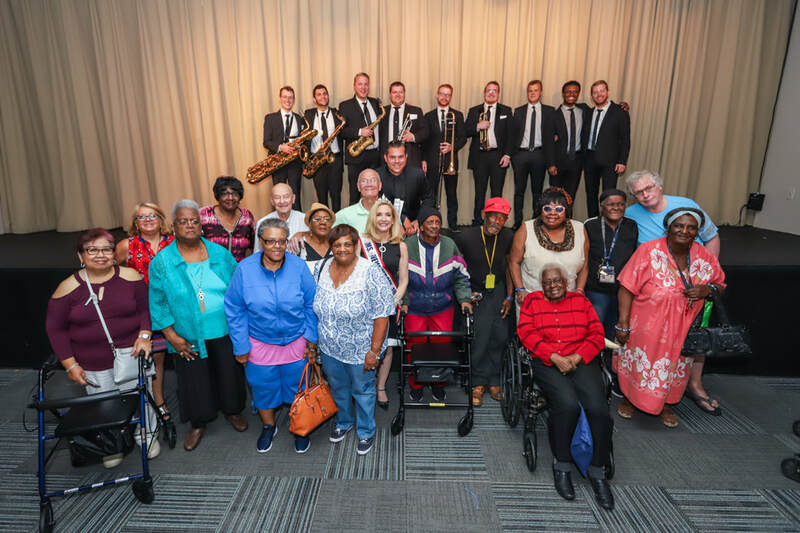 Dave Damiani & The No Vacancy Orchestra (back) pose for a picture with many of the seniors attending the Music & Memories Concert at the Margate JCC. Songs like “The Sunny Side of the Street” and “Fly Me to the Moon,” had over 200 seniors swaying, tapping their feet, and singing along at the JCC in Margate last month. The “Come Fly With Me” concert featured Dave Damiani & The No Vacancy Orchestra, performing swing, pop and jazz favorites from the Great American Songbook. Among the concert attendees was Ms. New Jersey Senior America Suzie Neustadter, who came out to support the event. The free concert is the second in the Schultz-Hill Foundation’s 2018 Music & Memories Series, which seeks to bring the arts to local seniors. Schultz-Hill’s partners in presenting this series include the Katz JCC in Margate, the OceanFirst Foundation, the Forza Insurance Group, the Hordes family, and the Kligerman Foundation. 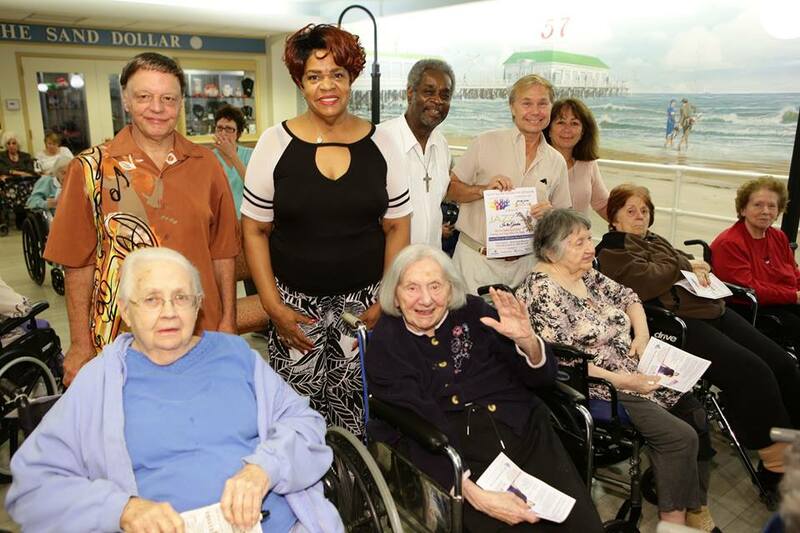 Over 200 seniors enjoyed a free concert at the Milton & Betty Katz Jewish Community Center in Margate, on July 19th, courtesy of the Schultz-Hill Foundation and its sponsors. The “Come Fly With Me” concert featured Dave Damiani & The No Vacancy Orchestra performing swing, pop and jazz favorites from the Great American Songbook. With songs like “The Sunny Side of the Street” and Bobby Rydell’s “You’ve Got to Enjoy Joy,” the band had audience members swaying, tapping their feet and singing along. Damiani performed “Fly Me to the Moon” and “Summer Wind,” and shared that he had seen Sinatra perform at his last concert at the Sands Casino Hotel in Atlantic City in 1995. He introduced audience member Paulajane D’Amato, daughter of the late Paul (Skinny) D’Amato, who operated Atlantic City’s 500 Club where Sinatra also regularly performed. Also in the audience was Ms. New Jersey Senior America Suzie Neustadter who came out to support the mission of the Schultz-Hill Foundation in bringing music and memories to seniors. Residents of Caring, Inc. of Pleasantville were among the groups attending the concert. The free concert is the second in the 2018 Music & Memories Series by the Schultz-Hill Foundation, designed to bring the arts to seniors in the community. Schultz-Hill is partnering with the Milton & Betty Katz Jewish Community Center for this concert. The concert was sponsored by the OceanFirst Foundation, the Forza Insurance Group, the Hordes family and the Kligerman Foundation. The nonprofit 501(c)3 Schultz-Hill Foundation supports the arts, history and education throughout South Jersey. Programs include the Dina Scholarships, Senior Music Series, Summer music program with the Atlantic City Day Nursery and our Arts Outreach collaborative with the Bay Atlantic Symphony and Atlantic City Public Schools. For additional information, please contact the Schultz-Hill Foundation or visit www.schultz-hill.org.